The Lions part wardrobe is a very eclectic collection of costumes for stage, film, living history, events and parties. 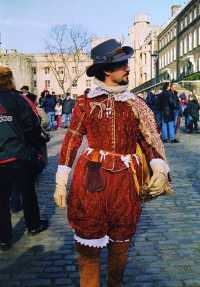 Costumes range from medieval to 1940's, folk costumes to fantastical designs. If you want a Game of Thrones look, we can do that. Land Girls Uniforms - we have those. Dressing a magnificent Tudor court - tick. 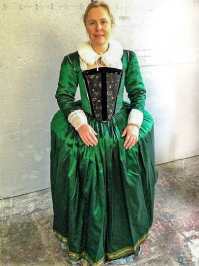 We have some historically accurate clothes suitable for living history or historical documentaries; we also have things we have bought from the Opera House and the Globe that are quite theatrical. Please contact us on our Facebook page which has more information about the costumes available.